A sign of things to come? 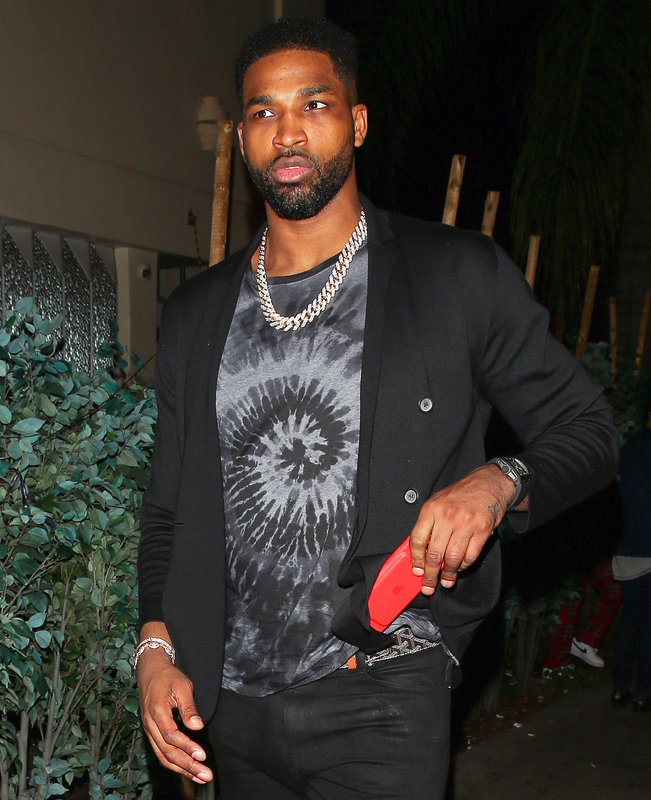 Tristan Thompson was out living it up and partying with pals the night before a celebration was held to honor the child he is expecting with girlfriend Khloé Kardashian. A source tells Us Weekly the Cleveland Cavaliers player was at Delilah in Los Angeles on March 9, the night before the Keeping Up With the Kardashians star’s baby shower at the Hotel Bel Air in Los Angeles. The next day, after the baby shower, Thompson and Kardashian celebrated the NBA player’s 27th birthday at Beauty & Essex in Los Angeles, where several members of her famous family were in attendance, including Kylie and Kendall Jenner, and Kourtney Kardashian. The couple’s mothers, Kris Jenner and Andrea Thompson, were also at the bash. As previously reported, photos and videos surfaced on Tuesday, April 10, that showed Thompson allegedly cheating on the reality star with multiple women. According to a source, Kardashian — who will be delivering the couple’s first child together, a baby girl, any day now in Ohio — “just wants to get the hell out of Cleveland” but “can’t fly“ due to the late stage of her pregnancy.